With a mission of celebrating community, preserving history and inspiring the future, The Heritage Guild of Collin County, a 501(c)(3) nonprofit organization, oversees Chestnut Square Historic Village. The Village is comprised of five historic homes, a replica one-room schoolhouse, a chapel, a store, a reception house, and a Visitors Center all settled on 2.5 acres just south of the downtown McKinney Square. Also included on the bucolic grounds are a blacksmith shop, smoke house, a (non-functioning) outhouse, reception pavilion and gardens. Buildings feature period artifacts highlighting the lifestyles of people living in Collin County during the early years in McKinney, spanning1854 to 1920. In November 1973, Joan Palmer Hughston organized a small group of women with the idea that the unique heritage of the city needed to be recorded and preserved for current residents, future generations and visitors. Beautiful historic structures required attention and care, so with foresight and determination Joan’s mother-in-law Margaret Hughston, Martha Schbuert, Frances Caldwell, Nan Dyer, Irene Hay Thomas, Frieda Comegys, Lucy Burkett and Ethel Holt set to work. The first project this dedicated group launched was to host a Christmas tour of homes, with Joan’s Mother-in-Law, Margaret Hughston’s home on Howell Street representing A Children’s Christmas, Joan’s on Louisiana depicting A Victorian Christmas, Ethel Holt showing her farm house as A Farm Christmas, Martha Schubert offering A Family Christmas and Nanette Boyd’s home depicting A Modern Christmas, and included A Pioneer Christmas at the (former) Collin McKinney House, located at Finch Park. That first Home Tour was a Great Success and continues to be so Today! The proceeds from this event facilitated the purchase of The Dulaney House and the Dulaney Cottage on Chestnut Street. These homes became the cornerstone of what we today call Chestnut Square Historic Village. Subsequently, in 1974, the Heritage Guild of Collin County was formed to perpetuate the preservation of Chestnut Square Historic Village. 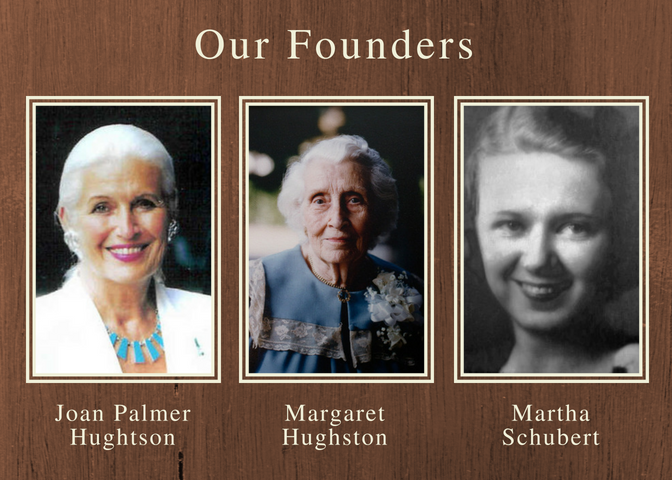 The spirit and commitment of our founders still serves as a beacon, motivating our continued efforts to build a living portrait of McKinney and Collin County to this day.